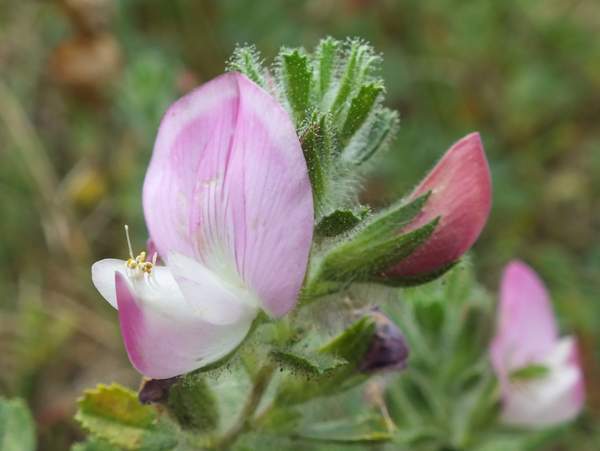 This lovely plant is restricted to calcarous soils but is fairly widespread throughout Britain and Ireland. 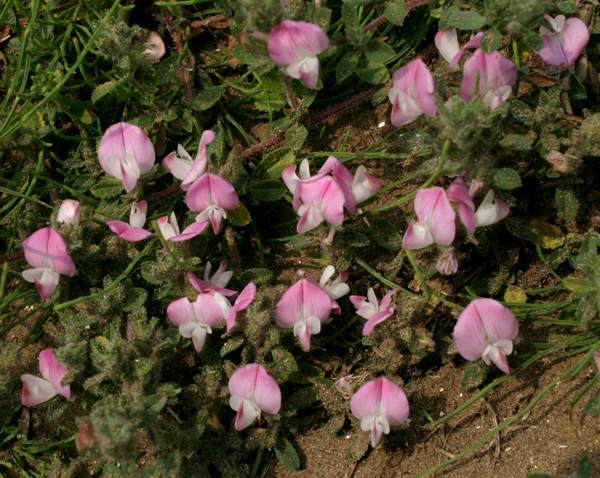 A member of the Pea family, Common Restharrow commonly grows on dry grassy cliffs. The stems are hairy and the leaves oval or trefoil, sometimes with slight notching. The pictures shown on this page were taken at Kenfig National Nature Reserve in South Wales in July.